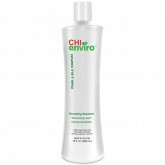 CHI Enviro Smoothing Conditioner contains pearl and silk complex to provide maximum moisture and smo..
CHI Enviro Smoothing Serum is a lightweight leave-in treatment with pearl and silk to moisturize all.. 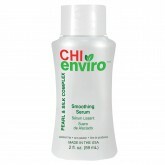 Provides maximum moisture and smoothness to frizzy, uncontrollable hair. 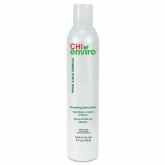 Silk proteins penetrate hai..
CHI Enviro Smoothing Shine Spray is a weightless spray with pearl and silk complex that provides ins..